Porphyry, a native of Phoenicia educated in Athens and Rome during the third century AD, was one of the most important Platonic philosophers of his age. In this book, Professor Johnson rejects the prevailing modern approach to his thought, which has posited an early stage dominated by 'Oriental' superstition and irrationality followed by a second rationalizing or Hellenizing phase consequent upon his move west and exposure to Neoplatonism. Based on a careful treatment of all the relevant remains of Porphyry's originally vast corpus (much of which now survives only in fragments), he argues for a complex unity of thought in terms of philosophical translation. 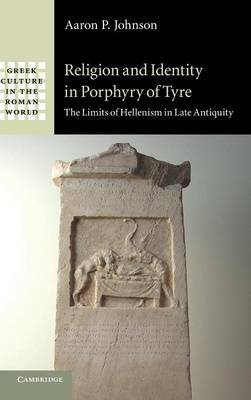 The book explores this philosopher's critical engagement with the processes of Hellenism in late antiquity. It provides the first comprehensive examination of all the strands of Porphyry's thought that lie at the intersection of religion, theology, ethnicity and culture.